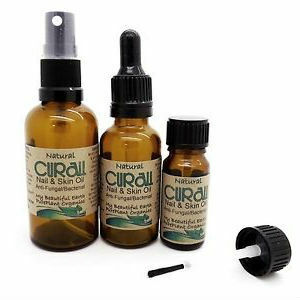 CURALL Fungus Treatment is a 100% Botanical Extract that aids in the clearing of fungus on nails and some cases of Athlete’s Foot and skin infections. I found CURALL on a website for around $16 per bottle. I found no mention of a Money-Back Guarantee for CURALL Fungus Treatment. While CURALL is made 100% of Botanical Extracts, it does not come without its warnings. This product contains nut derivatives. Do NOT use if you have an allergy to nuts. Do not use this product if you are pregnant or breastfeeding. Seek the advice of a Physician before using if you have any medical conditions. This product requires you to do a 24-hour patch test BEFORE regular administration. CURALL is made of 100% Botanical Extracts and is a mild treatment for the relief of Nail Fungus. Because the active ingredient is mild, you may have to use a longer period of time than some other products. With a price of around $16 per bottle, and no money back guarantee, CURALL Fungus Treatment may become a pricy solution. In addition, there are several disturbing warnings associated with this product. Jack Stevens	reviewed CURALL	on April 20th	 and gave it a rating of 3.